Finding a perfect pair of jeans is always a struggle, even if you’re petite. However, you can search from a wide variety of jeans, but you’ll still have to look for what suits you the best. The first step to buy jeans for women is to prefer comfort over style. Most women keep trying the jeans until they find the one that fits. It makes the task more time consuming and exhausting. Dressing room might be the way to find your perfect pair of jeans, but if you know what exactly you want, things become easier. Not everything suits everybody so go for what suits you the best, but also try new styles. But if you want to test skinnier denim, try the stretch that will hold and trim your bottom half. Try jeans that are true "skinny" (i.e., not tapered), which mean that they you would not get that exaggerated proportion (i.e., skinny ankles making hips look wider). Also, try choosing denim that is not much darker than your top. If it is a shade too dark, it’ll make you appear narrower on bottom, drawing attention to upper half, drawing more attention to your upper half. Following are some more tips on how to find you a perfect pair of skinny jeans. If you are petite, use the cuts to your benefit! I wouldn’t recommend you to go for a pair of 12-in skinny jeans, and that is not because they aren’t skinny enough, but it is because I’m aware that they generally come with a lengthier inseam that make a lot of huddling at ankles. What should a person do instead? Purchase ankle skinny denims that are specially aimed to be cropped and hit above ankle, conversely for a person with shorter legs, these denims act as full length skinny denims! 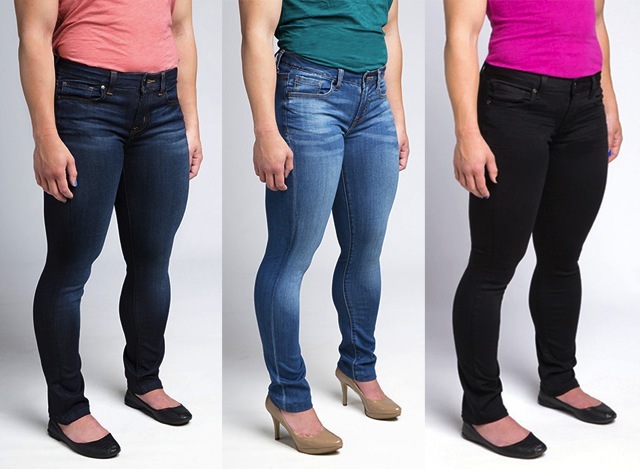 I would personally recommend J-Bees women jeans, for they have a wide range of variety to choose from. This is also something that should be considered. They not only have the flattering back pocket location and most reliable and vintage, however they have the perfect inseam length. Most brand manufacture jeans that have short inseams. If you’re petite, select yourself a size the fits you and ask your tailor to shorten the length rather hemming up your jeans. You can also try a rocket cut. They combine a skinny leg, a perfect high rise, and a shorter inseam. They are in trend and you should definitely stock up some. While looking for a perfect pair of skinny jeans, choose the ankle skinny jeans or ankle peg jeans because it eradicates the necessity for hemming. Also there is no heaping at ankles and denims fit perfectly. Every brand, in their collection has crop ankle skinny jeans. Inseams on the ankle skinny denims are mostly around 28’’ or 29’’ that is far better than usual 32’’ or 34’’ legs.